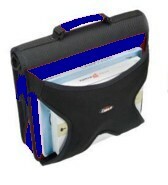 There are so many 3-ring binders & filers on the market, it can be challenging to decide what one will be the best fit. 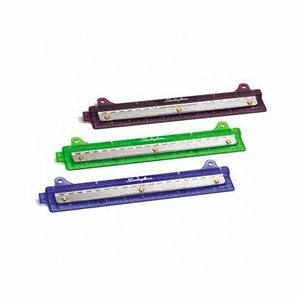 If a student decides to use a 3-ring, or is required to do so, then he/she must have a 3-ring hole punch stored inside for ease of filing papers. Many students don’t like 3-ring binders because of that added step of hole punching; thus all the papers collect in the front of the binder. If this remains the case, even with the inclusion of a 3-ring hole punch, and enough practice and assistance to build the habit, then perhaps an accordion style binder is a better solution for organizing work. Some students like to use the traditional 3-ring binders that do not zip. Some of my students have a 1″ binder for each class, others have 2″-3″ AM and PM binders, and some decide to put all courses in a 3″ binder. The decision to use one of these systems over another is based on how much material a student might receive in a class and his/her organizational style or teacher requirements. I recommend the Avery Brand Heavy Duty 3-Ring binders with a clear sleeve on the outside, and the one-touch EZD locking rings. They hold up much better to constant opening and closing than other brands. Multi-color plastic dividers with pockets for each subject. Plastic dividers are much more durable than paper ones. A plastic 2-pocket folder for homework. One pocket is for work to do; the other is for work to turn in. See my post on The Homework Folder. Reinforced paper or hole reinforcements–especially helpful for kids who are hard on their materials. 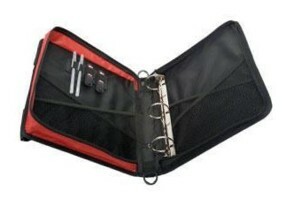 A 3-ring zip pouch for pens, pencils, highlighters, post-its and flags. 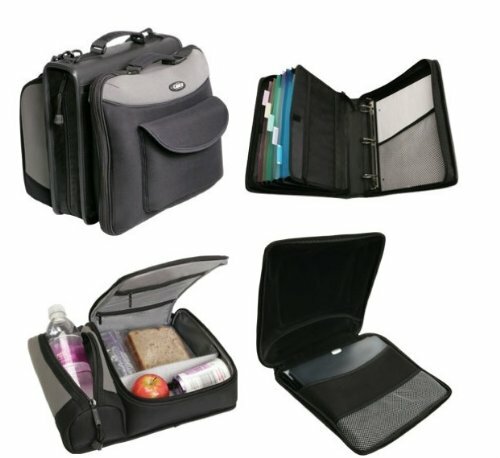 I have included images of popular styles of zip binders below. Many of these styles include a shoulder strap, which is an added feature worth considering if the student has to transport significant materials from class to class and is not allowed to carry a backpack around school. Pros: Kids like these binders because they feel that their materials are safe and they can store quite a bit of materials inside. 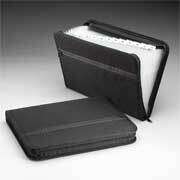 Plus many zip binders have an accordion option as well. Drawback: Unfortunately, many of the Case-It Zip Binders have very poorly constructed 3-rings, thus it is a trade-off for most students. The need or preference for a zip binder might outweigh the reality that the rings will not hold up to strain and constant opening and closing. Thus, these systems may need to be replaced over the course of the school year. 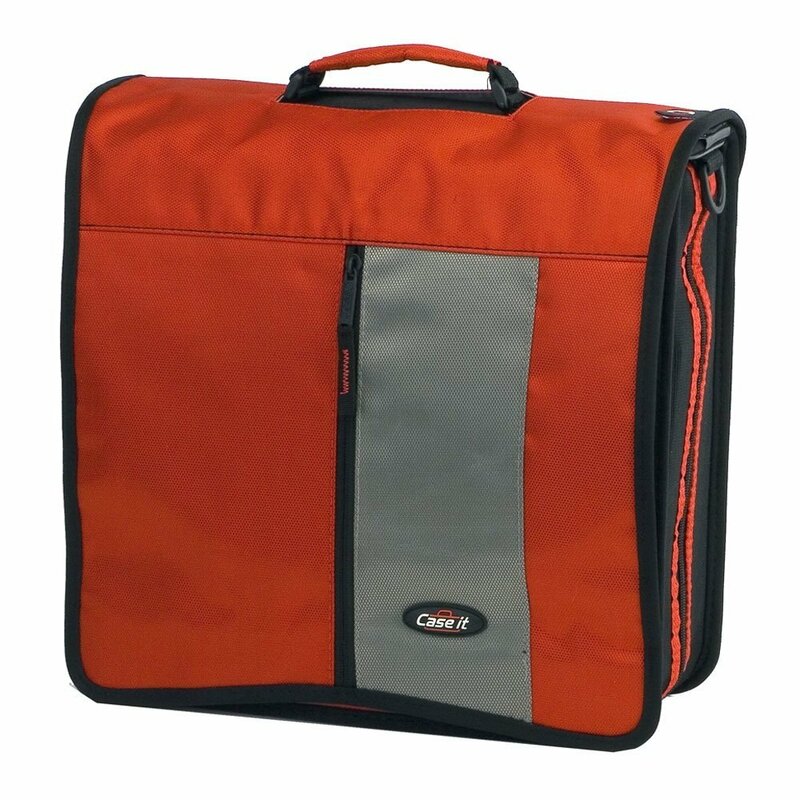 This style with the outside pocket can be quite helpful for managing and transporting folders, textbooks & workbooks from class to class. Note that this binder only has one 3-ring system inside. This binder has a little bit of everything and might be a good option for older students. It can be built according to necessity, thus if it is too cumbersome, parts can be removed. For kids who tend to forget materials, an all-in-one system like this might be a good option. Linking school materials with something a student is not likely to forget, such as lunch, is helpful. The dual 3-ring binder is used by some of my students who prefer to have their subject sections on one side, and a planner, pencil/pen pouch, paper, and homework folder on the other side. The above binder could be a good option for students who want to try out both styles, accordion and 3-ring, to decide what works best. Some students find the Z-binder helpful for organizing morning and afternoon classes in separate areas. A drawback for others, especially those who want to organize quickly, is the extra steps of figuring out which area to open, turning binder around, unzipping, and placing papers inside. This system is definitely more cumbersome and labor intensive than others mentioned here. 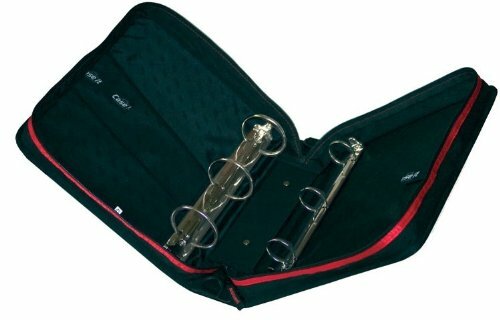 This dual system binder is a popular style for students who like to use 3-ring for notes and the accordion for filing handouts. 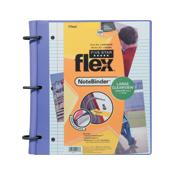 Mead Flex Notebook-Binder System Acts like a notebook, works like a binder. This Mead notebook-folder can be a good choice for students who are younger and don’t need a more complex system, or for older students who want or need a separate binder for each class. It includes 60 sheets of college-ruled notebook paper, 20 sheets of quad-ruled paper, 2 NotePockets®, 3 NoteProtectors®, and customizable cover. TechLock® ring holds more than a 1″ binder. Available in 6 colors. Each of these filers has it’s benefits; cloth zip filers are often more durable than the plastic ones. However, neither the blue and black basic filers here have an outside pocket for storing pens/pencils/highlighters and index cards/post-it notes. Inclusion of a materials pouch would be necessary for these organizers. The other two models (yellow/black) have more space for materials, especially the padfolio version with a clear pocket, which could be great for homework or checklists, and a notepad. They are, however, deeper and might be more cumbersome for some students. These models are by Globe-Weis. A vertical filer might be a good option for elementary students who don’t have as many materials to manage. In general, color coded folders are a good idea for kids who need extra organization help– each subject can be color coded with notebooks or paper to match. Wilson Jones “Big Mouth” Upright filer has extra-wide mouth for easy access to contents. 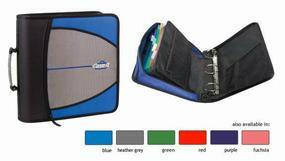 Includes five removable color-coded tabbed file folders, each holding up to 20 letter-size sheets. Reinforced gusset; bungee-type elastic cord closure. 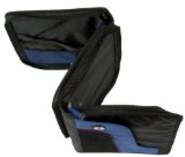 Moisture-resistant propylene case. Before going to the store or purchasing products online, do some research to compare styles and prices. Amazon is a good place to compare and contrast a variety of materials, as is Staples, Office Max, and Office Depot. I have found that each of these big box stores have quite a bit of variation when it comes to school supplies, so it pays to shop around. Your local drugstore and educational supplies stores may also carry brands not available at the bigger stores. MEAD and Globe Weis products are both quality options. While at the store, have your child play around with different systems and combinations see what feels manageable. And remember: no system is set in stone. It will take some trial and error to find a system that will truly work. Starting with this in mind will reduce the stress of getting and staying organized. 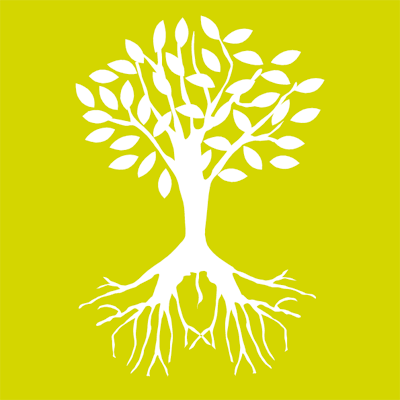 Grip down, begin to awaken & get organized!